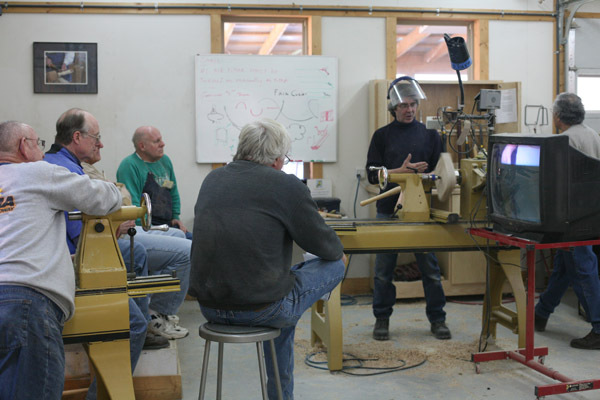 I had the pleasure of assisting in the Science of Bread class in the Cooking Studio at the beginning of this month. 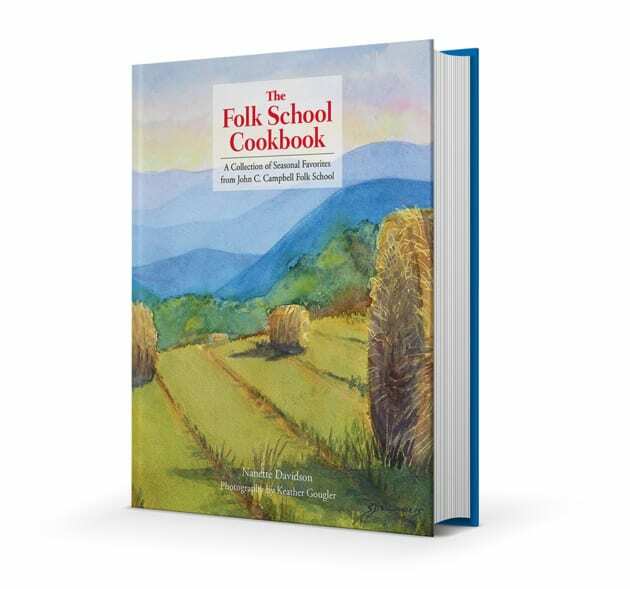 As a class that produces more warm crusty delicious bread than we know what to do with, you can imagine that we make friends with other classes pretty quickly. 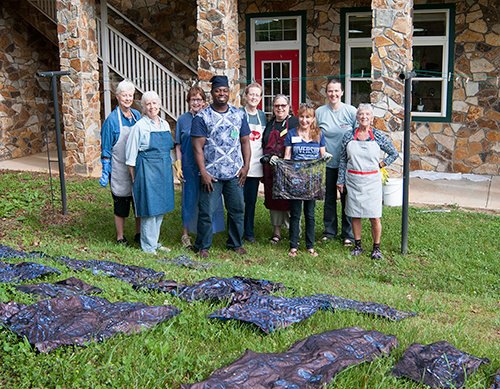 Our next door neighbors in the Wet Room, the Surface Design and Dyeing Class with Gasali Adeyemo and assisted by Charlotte Crittenden, received the bulk of the bread bounty. In return, their class invited us to watch one of the most exciting moments of their class: the magic moment of the indigo dye pot! 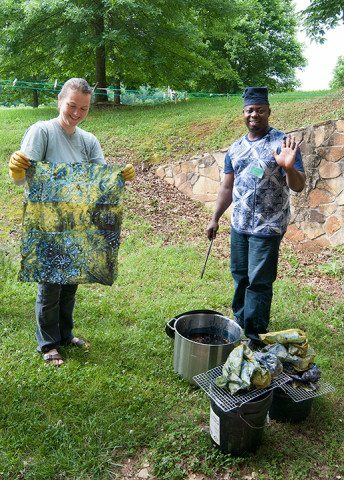 In Gasali’s class, students explored traditional batik, adire, and tie-dyeing techniques while learning about the arts and culture of the Yoruba people from a native Nigerian artist (that would be Gasali!). In the beginning of the week, I saw the students experiment with patterns and design creation on white fabric using wax, paste resist, and tying. 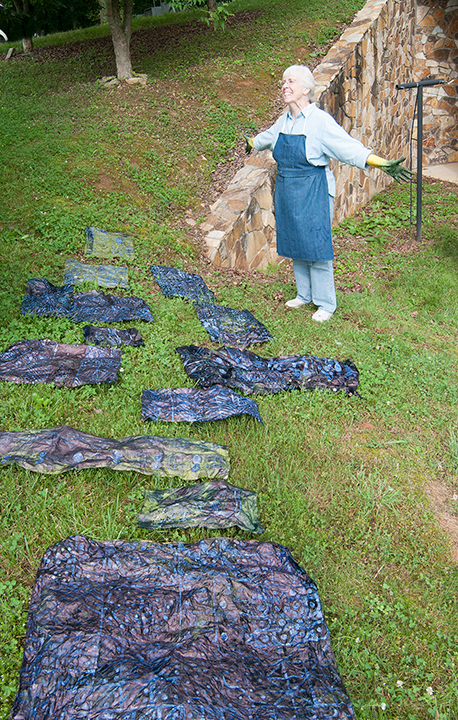 Students place their pieces from the dye pot on the grass to let the oxidation process develop. Success! The joy of indigo! Thursday morning was the exciting moment when students put their designs into the indigo dye pot. Charlotte peeked her head in the Cooking studio and told us it was time to come observe. Into the pot went to white fabric and out came colorful fabric with swirls, lines, and dots, but it was bright LIME GREEN! 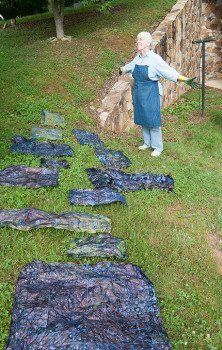 When fabric goes into the indigo dye it does not come out blue, which was shocking to me. 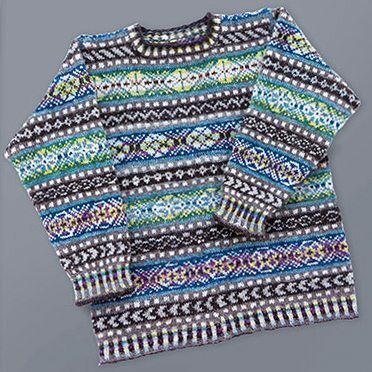 Only after about 15-20 minutes does the color change to a deep blue after being exposed to the air. It was magical to see the process! 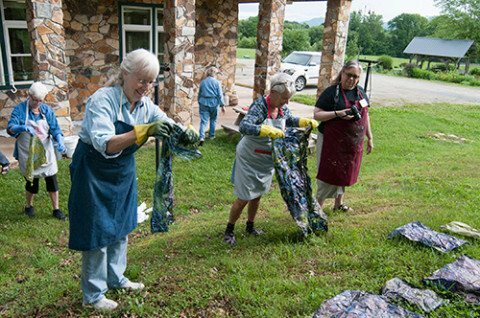 A big thanks to the Dyeing class for letting us be a part of their special moment. 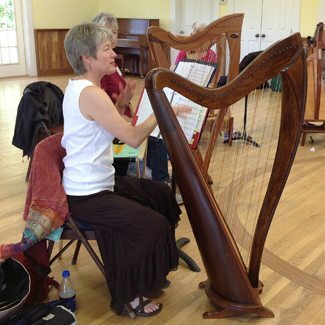 This was my 8th class at the folk school and it was so much fun! Gasali was a wonderful teacher, telling us many stories which helped us understand his culture and the process of indigo dyeing among the Yoruba people of Nigeria. His assistant, Charlotte, was so helpful, anticipating our every need. 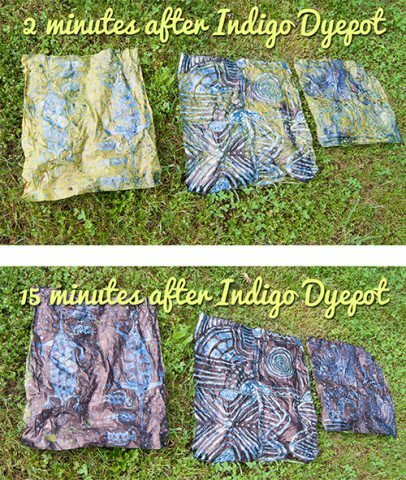 Cory Marie, who took these pictures, was right when she called the dyeing process “indigo magic”!